Since 1932, our company, originally known as Time-O-Matic, has relied on a tireless, Midwestern work ethic to outperform the competition. Our people and our passion set Watchfire apart from our competition. Our products are conceived, designed, tested and supported in-house because we understand that having these key teams under one roof gives us a much higher degree of quality control. 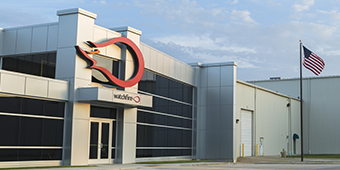 Watchfire emphasizes communication among design, manufacturing and service. The synergy between these groups increases efficiency and drives product innovation. Our product development engineers work side-by-side with our service team, so they hear firsthand about real-life experiences with our products. This is how we bring you the highest performing, most rugged LED signs and digital billboards available anywhere. We build every display to order, customizing each to fit the needs of the customer while maintaining complete control of the process and quality. Watchfire meticulously sources components from around the world to create a product that looks better and lasts longer. We select only 1/4 or 1/2 binned LEDs and our modules are designed to deliver unparalleled performance and longevity. We’re Here to Help. Contact Us to Learn More.